Investigators planning manhunt for John Wilkes Booth. Frank Leslie’s Illustrated Newspaper, courtesy Lincoln Financial Foundation Collection, Allen County Public Library. Why did John Wilkes Booth assassinate President Abraham Lincoln? How did investigators learn what happened and why? Find out below and conduct your own investigation. Before John Wilkes Booth assassinated President Abraham Lincoln at Ford’s Theatre on April 14, 1865, he had been plotting some kind of drastic action for months. He had met with co-conspirators planning to kidnap Lincoln. But after Confederate General Robert E. Lee surrendered his troops on April 9, Booth’s intentions turned to murder. Booth was born in Harford County, northeast of Baltimore, Maryland, and spent his childhood in that city. While Maryland did not secede and join the Confederacy, slavery remained legal. Many white Marylanders, including Booth, were sympathetic to the Confederate cause. Booth saw Lincoln as a tyrant who was taking away white Southerners’ rights to start their own country where race-based slavery was universally legal. Though Booth was adamantly pro-Confederacy, his family, including his more famous actor brother Edwin, were staunch Unionists. During 1864, Booth had hatched a plan to help boost the Confederate Army. He was going to kidnap Lincoln and exchange him for Confederate prisoners. Those conspirators almost succeeded on March 17, 1865, but Lincoln changed his plans at the last minute. When Lee surrendered to General Ulysses S. Grant at Appomattox Court House, Booth became desperate. At some point, possibly after Lincoln endorsed limited African-American voting rights during a speech on April 11, 1865, Booth’s plan changed from kidnapping to assassination. He and other conspirators came up with a plan to kill the President, Vice President and Secretary of State on the same night. The conspirators believed their plan would throw the U.S. government into chaos, renewing the Confederacy’s ability to fight. 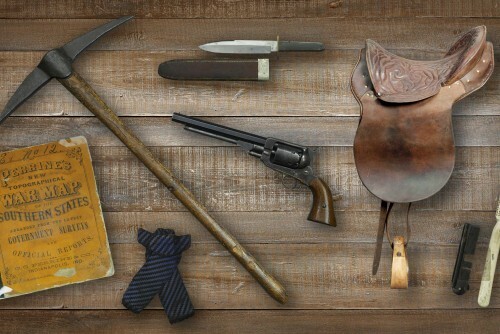 How did Booth evolve from famous actor to assassin? Who conspired with him? How do we know what we know? How does this evidence match—or not—with other evidence? Who gave the testimony? What might the person’s reasons be for saying what they did? When did this person give the testimony? Was it soon after the event? Much later? How might that affect what they said? What did witnesses see at the theatre? After Booth shot Lincoln, Secretary of War Edwin M. Stanton interviewed eyewitnesses to the assassination in the parlor of the Petersen House. Click to see what they said. What else did the plot involve? Reports from all over Washington suggested that Vice President Johnson, Secretary of State Seward and General Grant had all been murdered. What was true? What was the motive? What was the goal? 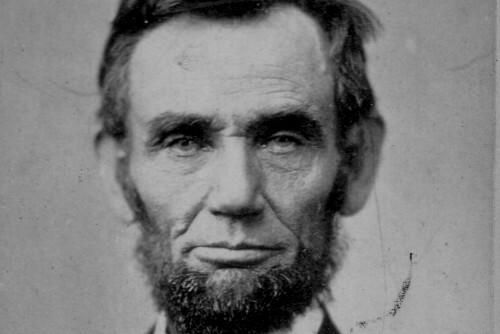 Investigators determined quickly that Booth had murdered Lincoln. But more questions about motive remained. And who else was involved? Click to see what investigators learned. How deep did the conspiracy go? After Lincoln’s assassination, questions raged about how large the conspiracy was. See the leads that investigators followed to answer that question. How was the evidence found? 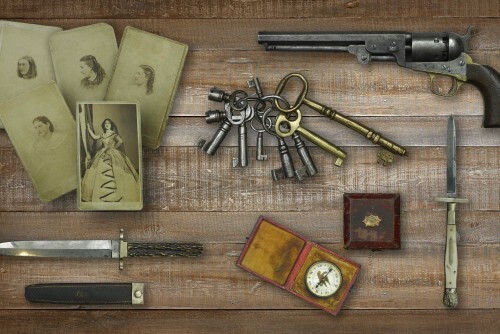 Soon after Lincoln’s assassination, investigators rounded up physical evidence. Learn how some of those pieces of evidence came into government hands. What did witnesses see at the theatre? A.M.S. Crawford was a U.S. Army officer attending the April 14 Ford’s Theatre performance of “Our American Cousin.” Click to see what he saw. Actor Harry Hawk was acting in the play and standing on the Ford’s Theatre stage when Booth attacked Lincoln. Click to see what he saw. James Ferguson, who owned a restaurant near Ford’s Theatre, attended the show hoping to see General Ulysses S. Grant attend with the President that evening. Click to see whom he saw instead. Actor Henry B. Philips was in the dressing room of Ford’s Theatre when he heard unusual noises. Click to see what he learned next. William T. Kent was a clerk in the office of the Paymaster General who attended the performance that night. Click to see what he discovered by dropping his keys. What else did the plot involve? Mary Ann Turner lived in a brick cottage, in the alley to the immediate rear of Ford’s Theatre. Click to see what she saw. John Fletcher, who worked at a stable, saw a man who had rented a horse from him and did not return it. Click to see who that man was. P.F.W. Walker, a U.S. Army officer, hoped he might have a tip about a man arrested as a suspect in the Lincoln assassination. His tip proved to be one of many false leads investigators received. Click to see what he said. William Bell was a servant at the home of Secretary of State William Seward. Click to learn what he witnessed. Henry Rathbone, a major in the U.S. Army, sat in the Ford’s Theatre Presidential Box with President and Mrs. Lincoln. Click to see what a clerk recorded in a deposition he gave. Leonard J. Farwell was Inspector of Patents and former governor of Wisconsin. Click to see what happened when he went to Vice President Johnson’s room at the Kirkwood House in the minutes after Booth shot Lincoln. What was the motive? What was the goal? James W. Purdom, a farmer in Montgomery County, Maryland (just north of Washington), and a U.S. Army informer, received a tip about a man named George Atzerodt. Click to see what Purdom did with the tip. Thomas Eckert was acting Assistant Secretary of War and a friend of President Lincoln. After Lincoln’s assassination, Eckert visited conspirator Lewis Powell in jail. Click to see what he reported Powell telling him. Ellerslie Wallace, a Philadelphia doctor, wrote to the Secretary of War about a conversation he previously had with an actor who knew Booth. Click to see what he reported. Harry Clay Ford managed Ford’s Theatre for his brother John, the theatre’s owner. Click to see what he told investigators he heard about a conversation between his ticket taker and Booth on Wednesday, April 12—two days before Booth shot Lincoln. How deep did the conspiracy go? Anna E. Surratt was the daughter of Mary E. Surratt, who was arrested as part of the assassination conspiracy. Learn who she said would visit their house. Edman “Ned” Spangler was a stagehand at Ford’s Theatre. Learn what he told investigators about when Booth came to him. John T. Ford was the owner of Ford’s Theatre in Washington, D.C.. Learn what he told investigators about his interactions with Booth. 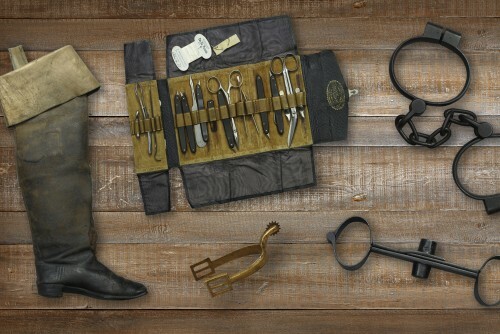 Dr. Samuel Mudd set Booth’s broken ankle during his escape. Learn what he said when asked about Booth. H. Walsh, a merchant in Holland, Michigan, wrote to the Secretary of War in June 1865, with a possible tip. Frank Washington, a formerly enslaved man who lived and worked at Dr. Samuel Mudd’s plantation, talked with investigators about his recollections of Booth’s visit. How was the evidence found? William T. Kent was a clerk in the office of the Paymaster General. 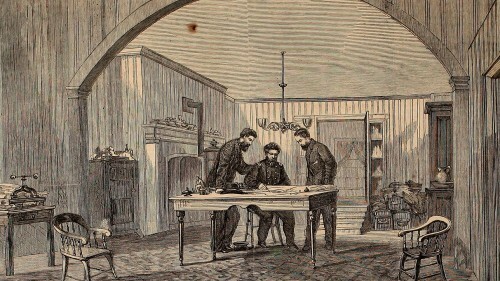 John Lee, an investigator in Washington, searched the room of George Atzerodt, suspected of being part of the conspiracy. Henry L. Burnett was a Special Judge Advocate appointed to investigate Lincoln’s assassination. When investigators arrested John Wilkes Booth’s co-conspirators Lewis Powell and George Atzerodt, what evidence did they find to connect them to the crime? Teaching the Lincoln assassination? Find lesson plans and other resources here.